Perhaps you or your business are in default with your bank, owe money to by creditors, the IRS or credit card companies and you need some solutions. You may be receiving threatening demand letters or collection calls. The bank may be foreclosing on your property or a creditor may have levied or frozen your bank accounts or filed suit against you. If you or your business are under duress from creditors and your business or assets are at risk, you need to be advised about your rights and alternatives by an experienced and knowledgeable attorney. 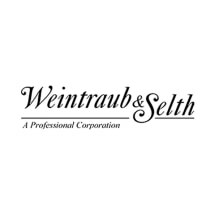 Weintraub, Selth & Nguyen, A Professional Corporation is a law firm focused on helping people and business when the money runs out before the month does. We specialize in bankruptcy and out of bankruptcy solution, asset preservation and protection, business reorganization, debt restructure, defending collection lawsuits and related areas of the law. For the last several decades we have guided both individuals and business entities through what is unfortunately one of the most stressful times of their lives. We protect our clients when their backs are against the wall. Call Weintraub, Selth & Nguyen, A Professional Corporation today at 866-572-2423 to arrange your initial consultation.